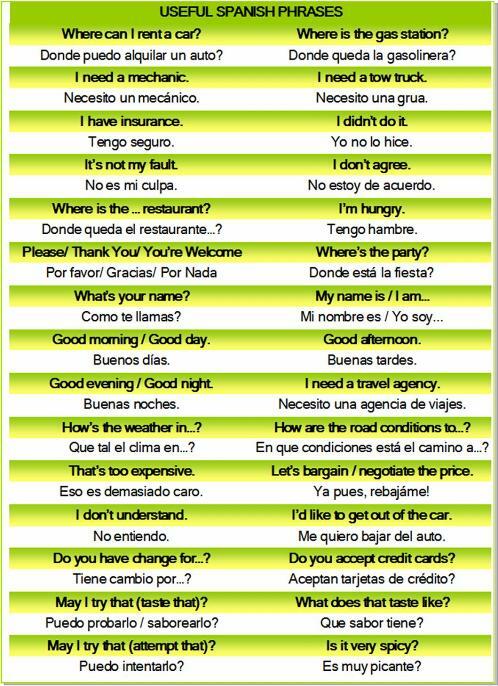 Want to learn Spanish? It's really all about the effort you make! You don't need to speak Spanish perfectly in Bolivia! No one will ridicule you if you don't! Bolivians find it charming when a foreigner attempts to speak their language. They also love to show off and practice their English (or German or French, or any other foreign languages they've learned). So no worries, don't stress about the language barrier. Bolivians are generally very friendly, kind-hearted, helpful, and eager for new experiences. Below you'll find ways to learn Spanish before you travel, where to take Spanish courses in Bolivia, and a list of Spanish phrases you can print out and carry with you while you travel. Rocket Languages offers multiple award-winning language learning courses. Their language learning system is based on both science and the practical success strategies that polyglots (people who speak 5 or more languages fluently) use. Each course has over 100 hours of instruction. Choose from "Premium", "Combo" or "The Works" learning packages. If you purchase through our website you can save $50 off of any Rocket Languages foreign language course with coupon code ROCKETDEAL . 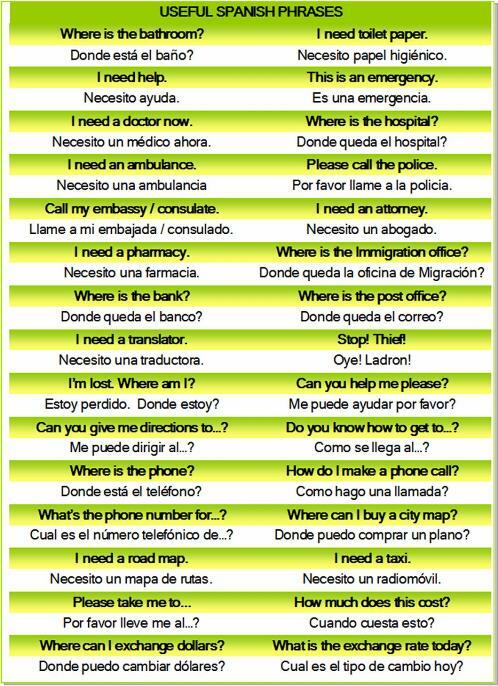 These are some simple Spanish phrases you might want to learn to help ensure you are understood correctly, or can request what you need, while you are in Bolivia. Spanish is read and spoken phonetically, exactly as it is written. Each letter has only one sound so there is no guessing involved. Right click on each image below, choose "Save picture as", and save to your desktop. Then print as many copies as you need. If you're viewing this page on your phone, expand each list to fit your screen, and simply take a screenshot. It will save automatically into your phone's photo gallery.